Brooklyn power-funk army, Turkuaz, is known for their insanely powerful live shows and goosebumps-inducing tunes. They’re making their LOCKN’ debut this summer and they’ve handpicked the following music videos for your viewing pleasure. Some are undeniably strange, some may haunt-your-dreams, and others, well, you’ll have to see them for yourself. 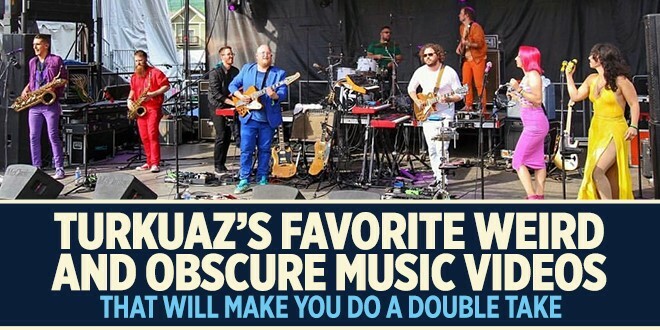 Check out what these rare breed of musicians have put together for your bizarre amusement. Look at how they come and how they go! Hey, look it’s my dad! I feel bad for the clean up crew. Sometimes I feel so tiny. Vacations can get a little crazy. Seriously everyone (I’m looking at the director here too) a little self control, please. Somebody get the turtles on the phone.